The Asbestos Nation campaign of national watchdog the Environmental Working Group recently issued a report and interactive map on the continued prevalence of asbestos in CPS schools. In total, 184 CPS schools had asbestos-laden materials that needed to be repaired or removed but only 11 schools complied (or CPS complied for only 11 schools). The US banned the use of asbestos in 1980, but many buildings built prior to that still have asbestos in places like plaster, ceiling tiles, pipe insulation and linoleum tiles. 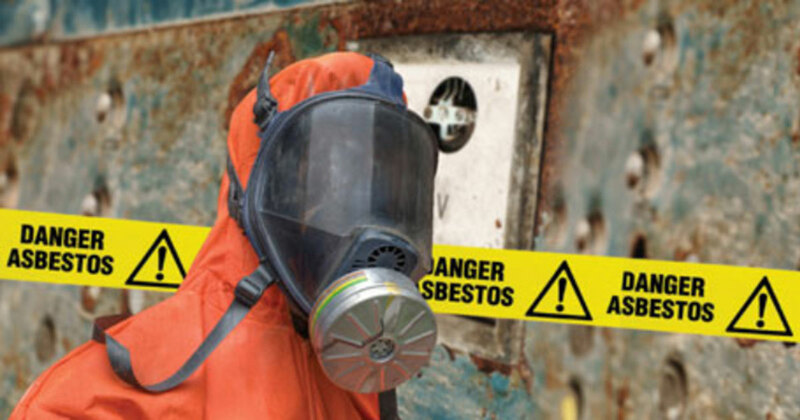 In general, asbestos, which causes a deadly form of lung cancer or a disease called mesothelioma, is not harmful as long as it is not disturbed, since inhaling the dust particles is what makes it so dangerous. Broken or cracked linoleum tiles and deteriorating ceiling tiles can expose people to the asbestos dust. Children running around, kicking up the dust, or sitting on classroom floors can be exposed – and children are more susceptible to the dangers than adults are. Unfortunately, it can decades for the diseases to appear but the prevalence in schools is not uncommon because “elementary school teachers are more than twice as likely to die from the disease than Americans as a whole,” according to the report. 15,000 people die every year from asbestos-related illnesses. The typical remedy is to either encapsulate it or remove it. Since the mid-1980’s, ISBE and the federal government have required CPS to conduct asbestos assessments and report on the presence of asbestos at each school with a management plan. The Illinois Department of Public Health (IDPH) reviews those management plans. These reports are available on each school’s school profile page in the download’s tab (one is the 3-year report and the other is the 6-month report), but these reports are not easily understandable to the average person. The report provided by Asbestos Nation, however, is simple and accessible. For instance, the 6-month asbestos report for an elementary school in Bridgeport from 11/3/2015 is 56 pages long and details the presence of asbestos in each room in the main building and whether or not there has been any change in the status of it in the previous two years. Some of the asbestos was removed during ADA renovations, but most of it remains and there are seven instances of friable asbestos, which means it “can be crumbled, pulverized, or reduced to powder by hand pressure,” and thus ingested, which is how asbestos causes cancer. CPS has spent nearly $100,000,000 on re-mediating various environmental issues at schools across the district since 2001, using a variety of vendors. CPS spends a paltry average of $4,000,000 per year to pay contractors to do all this clean-up on nearly 700 school facilities. That translates into 0.07% of the entire district budget and 0.93% of what it recently spent on maintenance and operations; clearly, this is not a priority for CPS. The federal government granted money for abatement in the 1980’s and early 1990’s but it no longer allocates money for this. While the CPS’ Facility Performance Standards for asbestos states that, optimally, CPS will “repair, fully encapsulate, or abate all friable asbestos-containing materials, including removal of asbestos-containing floor tiles, in areas occupied by students and staff,” in reality CPS documents the existence of asbestos containing material but does not fully remove it very often. As stated above, the Asbestos Nation report shows that CPS only removed the asbestos in 11 of 184 schools. Parents at Saucedo Academy in Little Village were very vocal in their concerns over the health and safety of the school after a teacher died of cancer in 2014. Teachers, parents and concerned residents should read the 6-month and full asbestos inspection reports available on each school’s profile page, in addition to reading the Asbestos Nation report, and mobilize the school community if there is concern for the safety of children and staff. Saucedo is now in the process of a major renovation due to the pressure that the community put on CPS. Always remember that CPS can find capital dollars when it wants to; do not accept their response that there is not enough money. Removing asbestos from every school should take priority over building a new selective enrollment high school. asbestos, budget, disinvestment, school facility research, student safety, teacher safety. Bookmark.